* Please review the legal information relative to this web site. The two lane roads stretches out to the horizon, pavement cracked with a trace of a white stripe down the middle and littered with abandoned buildings. In the distance the Interstate highway is visible, the epitome of modern road building. Once, traffic did not go on the Interstate, but went on the narrow two lane road: an old US highway. What was its history? What was it like to drive on it? 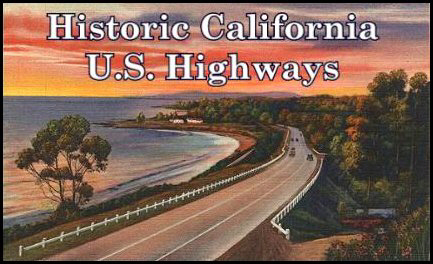 The Historic California US Highways page investigates these questions. There are a lot of books and web sites about traveling old highways, especially about Route 66. However, most seem to deal with interesting places and nice people along the way, with only a passing reference to the highway itself. This site is not like that; instead it looks at the highways themselves, such as how they were constructed and how they evolved. It is also a field guide for the modern highway "archaeologist" who is seeking out fragments of remaining old highways. In short, this site is a repository of information about the 18 US highways that once traversed California. The historical US highways of California have the same magic that Route 66 has, although much of theirs is still waiting to be rediscovered. Like Route 66, what remains of these highways ties us back to a time when things seemed to go at a slower pace. This was the time of roadside kitsch, of gas stations that were still service stations with free air and water, and of unique "mom and pop" restaurants, which were the norm, not the standardized bunch of the usual suspects strung along the Interstate. These roads also link back to California's agricultural past, such as when US 101 meandered as a country lane through Orange County, when it still had crops of oranges and not crops of subdivisions. Many of these roads have survived the ravages of time along and bring back to life a part of this country that was paved over by the Interstates. This page is for people who love the old roads and highways that have shaped our history and who, like myself want to learn more about them. The stone bridge still exists today, although the concrete road has since been paved over. This picture shows the attention to detail and themes on highways that have given way to standard plans and designs. 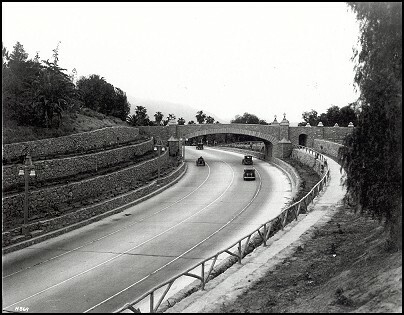 This was part of the approach to the Rubidoux Bridge over the Santa Ana River, which was removed in 1958 in favor of a higher level bridge. The old bridge had a distinctive mission style, where its replacement is a drab vanilla and utilitarian steel bridge - a symbol of the paradigm shift in California highway building. This site is dedicated to showing that there is more to the past than abstract black and white pictures, World War II type documentaries, or the Leave it to Beaver model of a perfect world. While this site does contain many black and white photographs, I intend to bring these highways and their past back to life by describing the terrain and world through which they passed and augment their history with current color photos of what the areas look like today. This site is a collection of facts, history, travelogues and photographs that document the development of California's incredible system of highways. I have many resources at my disposal for furthering this interest that includes other highway enthusiasts, old maps, my own field trips and, most significantly, my collection of California Highways and Public Works. For those unfamiliar, it was a publication printed by the California Division of Highways from 1927 through 1967 that documents virtually everything about highway construction in California. This site has four sections, shown below. First, is a listing of the 18 US Highways routes linking to overview pages of each route. The second section contains links to the travelogues I have written. The travelogues give detailed overviews and describe the exact routing and history as well as describing where remaining sections may be discovered. The photographs page contains links to "Photo Albums" pages for each route. These "Photo Albums" contain both historic and current photographs. Finally, the fourth section is miscellaneous material that does not really fall under any of the other sections. It includes an historical overview of the US Highway system, a glossary of terms used and of highway specific jargon, and a listing of related pages that may be of interest to the historical highways enthusiast. For those who wish to know more about this site, please have a look at additional information about this page. I have created an introduction for each highway that gives general background, including routing in and out of California as well as a brief history and highlights of the route. These also include listing of intersections with other US highways and are a jumping off point to other parts of the site. The table below contains links to the Introduction and Overview pages. Have a more detailed look at the history of the routes as well as a tour of where the routes once were and what remains. There are also many side trips included that offer a closer look remaining sections of highways which have endured to give a glance at the past. A picture is worth a thousand words and having pictures is the key to this site. I have taken many pictures of remaining sections of old road and have many more historical pictures. This last category includes miscellaneous items that do not fall in the above three categories. History of the US Highway System. Discover the bigger picture of old roads in California. Glossary of terms used within this site. Updates to the site. See what has been added to the site. Links to other Highway Pages. A collection of interesting links for the highway enthusiast. Caltrans is reviewing the dissemination of historical photographs for which they have the copyright, including the ones contained on this site. At this time, I am uncertain as to the legal ramifications of having them on the site, although I characterize their presence as "fair use;" in other words, I am using them only for non-profit, educational purposes. For this reason, I strongly discourage the copying and use of these photographs on other web sites. I suggest referring all inquiries to Caltrans. I am not a copyright lawyer and I don't play one on TV (or the web!) I will post any legal information that Caltrans requests and/or approves for display on the site. I am engaged in making structural modifications to the site that will allow for easier access, as well as greater ease in managing it. The most significant project is the addition of frames to several parts of this site, most notably the guides and background pages. They will not look any different until one scrolls the page down and sees the navigation bar on the left stays constant. I think this will be of benefit to the reader since it will make navigating my site much easier as well as cutting download times. 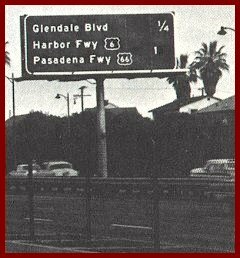 I am also working on creating more background and history pages, including one about the 1964 highway renumbering as well as adding more photographs. Please enjoy your visit to my site! This site is not affiliated with the California Department of Transportation (Caltrans) nor any other government agency. Unless noted, all historical photographs are courtesy of Caltrans. These photographs are not in the public domain. Please be advised that you must have Caltrans' written permission prior to using any on your site. 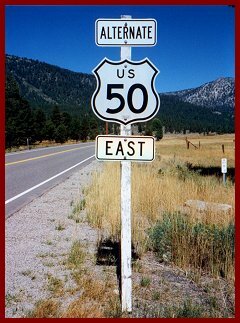 "Historic California Highways" (http://www.oldhighways.com; http://www.gbcnet.com/ushighways; http://ushighways.cahighways.org) is a website whose only purpose is to provide educational information. There is no commercial intent for this site, and the materials contained herein may not be used for commercial use of any sort. If you wish to use any of the original graphics on my page, please acknowledge the work as mine. I have spent many hours creating them and it would make me feel better to see my name next to them. Etc. The Historic California US Highways site is authored by Casey Cooper ("Author"). Any material not attributable to this site's Author may be copyrighted by the respective organizations. Please obtain the permission of the owner prior to using any images. 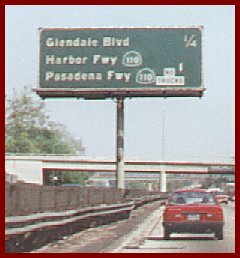 Part of the http://www.cahighways.org/ family of California Highway sites.